Sleek Makeup has launched the Glory Palette - and it's a stunner of a palette, too! I always love the Limited Edition i-Divine Palettes Sleek puts out, they're always a little breath of fresh air and colour to the makeup scene, and the themes are usually (as the British colloquialism goes) bang on-trend. 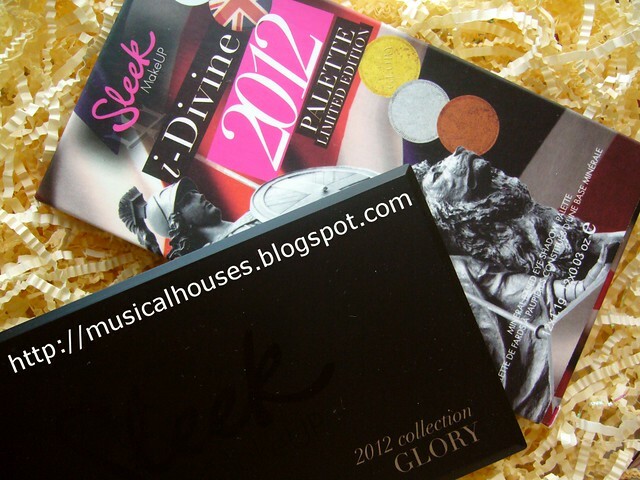 The Glory Palette is obviously inspired by the 2012 London Olympics (I'm so looking forward to that, are you? I'm definitely looking forward to seeing Michael Phelps swim again! ), and even the name, "Glory" is very evocative of competitive sports and the spirit of the Olympics. 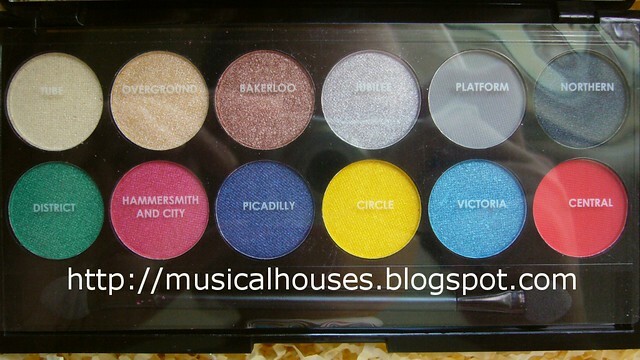 But what I really love about this palette is that it's not just a palette riding on the Olympic bandwagon, but it's also a celebration of London itself! And having lived in London for a short period of time and being a total London-lover, this really made that palette so much more special for me. 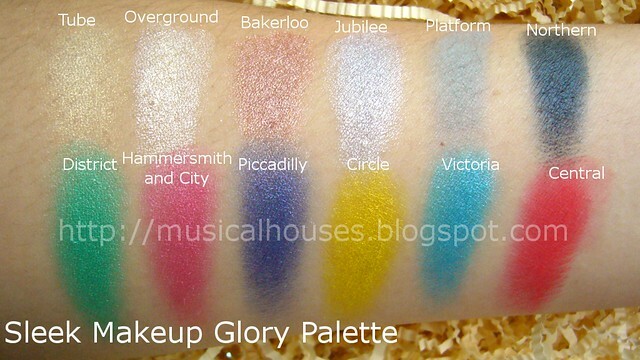 What made the Glory Palette special to me was the various colour names that match up to the Tube lines. Ah, the Tube, that bane in many the life of a Londoner. It is so cute that the line names and the colours match up! Like, Piccadilly is dark blue! And Central is red, and Victoria is light blue, and Jubilee (that line that is always shut down on weekends) is light grey, and so on. I mean, I don't know about you, but I absolutely love it. It made me smile and brought back fond (and not-so-fond, in terms of transport congestion) memories of my time in London. In particular, I was a heavy user of the Piccadilly and Central lines, so it made me a little nostalgic to see that they were in there. And the best part? These are now translated into colours, and the range of colours covers almost all the colour bases out there - I guess it has something to do with trying to match the shades to the Tube lines! Unlike some other Sleek palettes, which tend to be either all dark, or all brights, or all neons, or all neutrals, the Sleek Glory Palette has a really good mix of brights and neutrals. I tend to see the top line as the "neutrals" line (and yes, I am amused that "Platform" is a dull concrete grey, just like the real-life Tube platforms), and the second line is the "brights" line. I like this line up of shades. 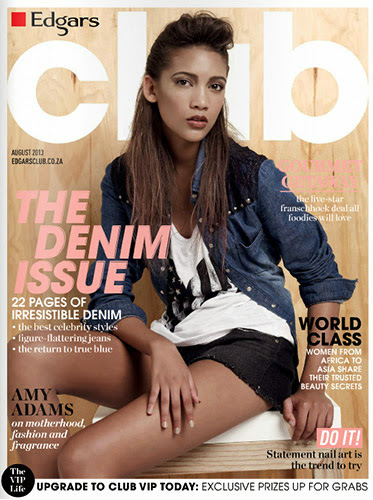 Makes it easy to colour-coordinate, too. Anyway, enough about me waxing lyrical over the palette and over my time in London. I'm pretty sure you came here for the swatches and not my nostalgic recounts, so here you go, swatches of the Sleek Glory Palette! The first thing you'll notice is that almost all the shades are shimmery. Tube is a soft, shimmery gold shade. A little like a medal, a little like champagne. Overground is a light beige shade. 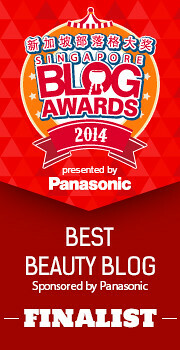 This is a great all-over lid shade. 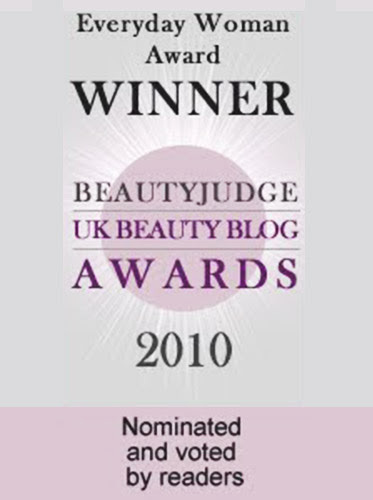 Bakerloo is a shimmery brown shade, inspired by (I'm guessing) the Bakerloo line! Nice brown with the barest hint of bronze. Jubilee is a pretty silver shade. Damn, this line never seemed to work on weekends. Platform is one of the few matte shades in the Glory palette, and is a light matte concrete grey. Northern is a shimmery black with the slightest hint of what looks like blue to me. District is a bright green, the shade of green you see on colour wheels. Hammersmith and City is a shimmery hot pink. Now, who knew Tube line colours looked so cool? Piccadilly is a lovely shimmeru navy blue, that really reminds me of the Piccadilly line. Circle is a bright, shimmery canary yellow. Victoria is a bright shimmery sky blue. Central is a matte red. The Sleek Glory Palette shades generally have good pigmentation - the only one that didn't show up as well on me was Tube, but pretty much all the other colours were nicely pigmented. Also, the shadows seem a little less crumbly than some of the older Sleek palettes I have (especially the ones with the hatchmarks that look like waffles), so this is also a good thing in my book. The Sleek Glory Palette is available from 4th July in stores and online. 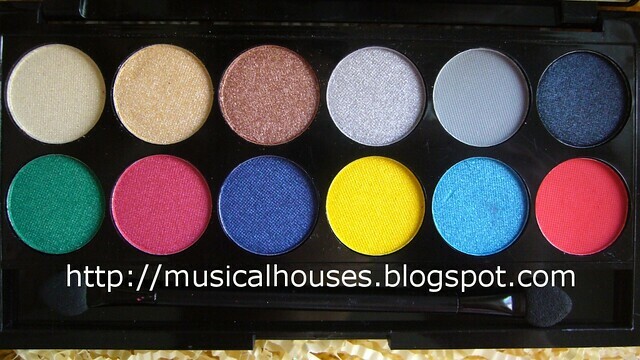 I'm going to say that everyone needs this palette because it totally reminds me of my time in London. LOL. But seriously, if you appreciate a palette with a good range of colours, ample pigmentation, and a London/Olympics twist, you'll like this. 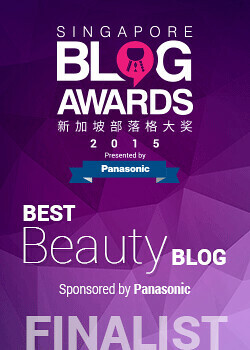 gorgeous post! Such beautiful colors! Oh wow, the colours are very vibrant. Bakerloo is stunning, how much is the palette?